Today’s topic is all about what the adjudicator is looking for in a performance. 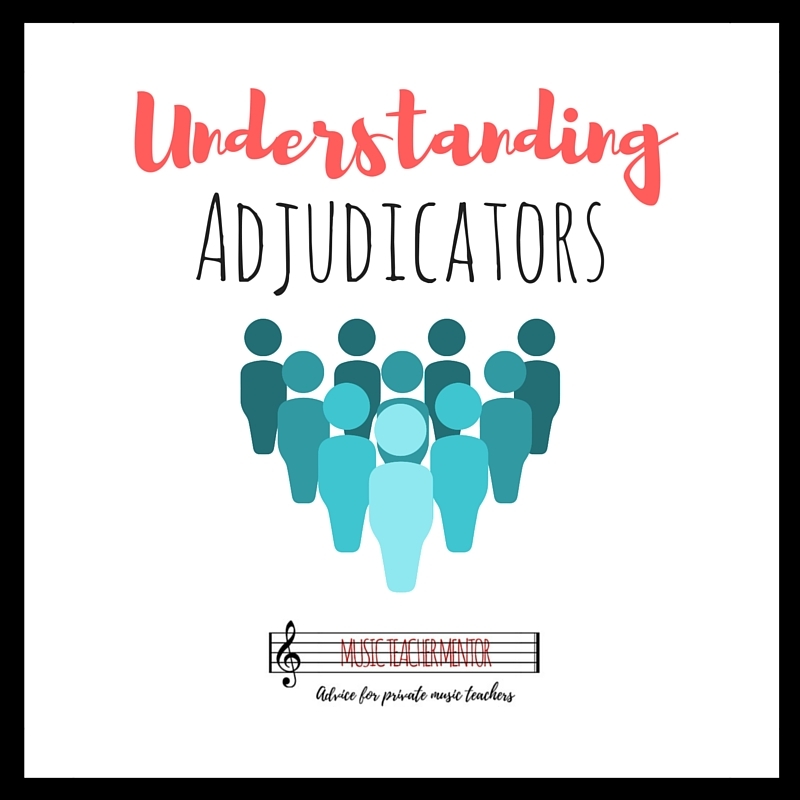 While you shouldn’t encourage your students to sing to please an adjudicator, this post will help you understand things from the other side of the table. 1. An adjudication is just one person’s opinion on a particular day. Maybe tomorrow another child would have won, or the adjudicator would have chose something else as the deciding factor. Please remember that your adjudicator does not see all the progress you have made all year, just 3 minutes of your musical life. 2. Adjudicators are always looking for age-appropriate command of vocal technique & how well your student interprets the song. It’s not enough just to sing well, you have to take your audience on a journey and tell the story of your song. Probably 90% of who wins a class depends on these two things. 3. Adjudicators realize that mistakes happen! The adjudicator wants you to do well, even if he or she seems imposing. He or she cares more about how the mistake was handled than that it was made. If it’s a serious mistake your student likely won’t win, but will get “bonus points” for handling it professionally. 4. Remind students never talk back to an adjudicator, but do answer questions if asked. If the student doesn’t understand or agree with something, wait until the next lesson to discuss with the teacher. If you need to vent, wait until the door of your car is closed on your way home. You never know who is listening and if it will get back to you or reflect poorly on you and your students for the rest of the competition. 6. Sometimes an adjudicator just likes a certain voice-type or performer and there is nothing you can do about it. Put more stock in the progress you’ve made during the year and not how many classes your students win or lose. 5 Reasons to Enter Music Festival that Have Nothing to do with Music.